This has to be the best mine portal ever! Fantastic granite stonework with a capstone inscribed "Pride of the West 1880". 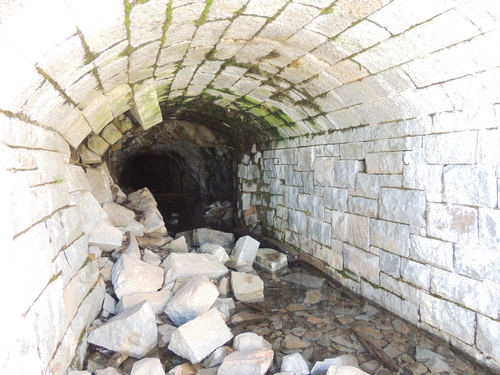 A two story hotel was beside the tunnel when it was in operation. 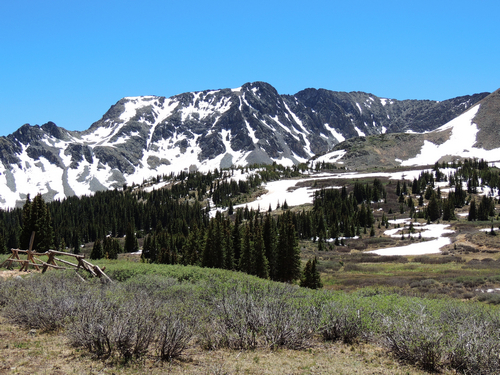 Follow the North Fork of the South Arkansas River up to its headwaters at Billings Lake. A scenic basin. ​This Jeep trail is sometimes called Billings Lake. 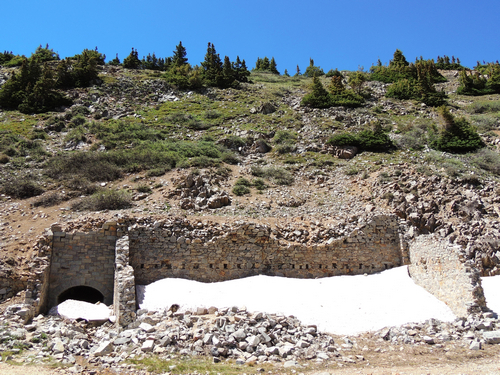 "This silver mine is in a nearby county and is located at about 12,000'. It has my vote for THE coolest mine portal ever. Also of interest was the wooden air line located in the older portion of the mine. This was a dual track tunnel all the way to the face. Prolly never made a dime! I also liked the carbide smoke initials on the air line." "Pride of the west mine also called the Billings Tunnel, located up North Fork Creek above Billings Lake. Mr. Billings lived in nearby Poncha (Poncha Springs, CO), was from Philidelphia and said to be a good walker. 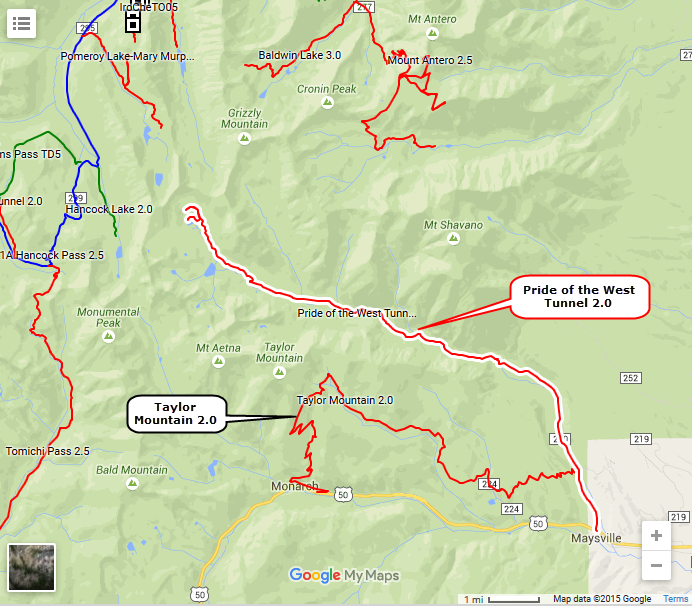 He walked from Gunnison, Colorado to the Pride of the West Mine in one day, then on to Poncha that night. "When the arch (entrance) was built, an Irishman by the name of Regan was the chief stone mason. Upon completion it was christened with a bottle of beer "St Agnes", where in Ireland Regan was from. "It was said that the Billings tunnel bore through Pomeroy Mountain into Hancock, CO and was used as a toll tunnel. Also, the impressive entrance was used as the backdrop by photographers taking pictures of prospective investors from back east or wherever. 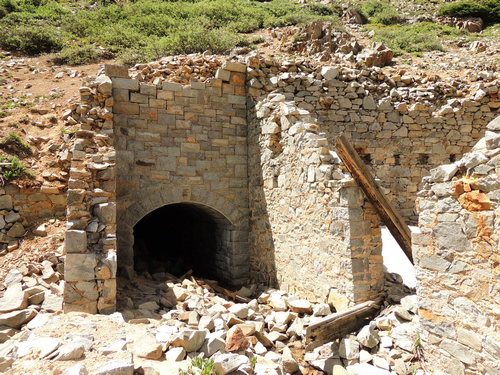 The mine itself was not much of a producer and anyone who did invest lost their money. "The book "Under the Angel of Shavano" gleans a bit of information about this tunnel. The last paragraph is unsubstantiated but makes for a great story." 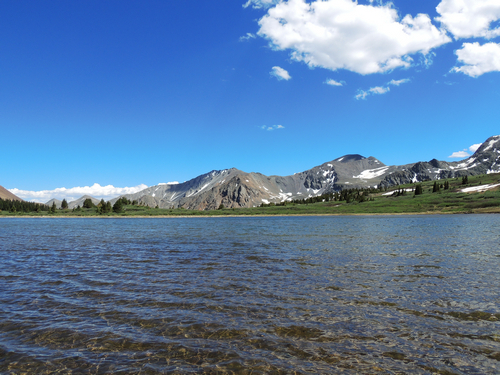 Billings Lake and the surrounding mountains add another reason to make the trip.